Karen Lynn, Manager of Corporate Sustainability, EHS; Eaton Corp.
Karen Lynn is Manager of Corporate Sustainability for Environment Health and Safety at Eaton Corp., where she is responsible for developing strategies that improve the company's sustainability performance and communications. She actively supports development of environmentally sound product development, life cycle assessment, green marketing strategies, and stakeholder engagement processes. Until recently Ms. Lynn also served as the Eaton Vehicle Group's EHS Manager, supporting MESH program deployment at all Vehicle facilities globally. She was also responsible for managing the Group ISO 14001 and OHSAS 18001 certifications, and for driving continuous improvement in EH&S programs. 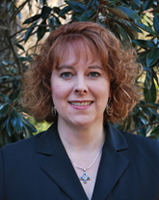 Before joining Eaton in 2007, she worked with International Paper for 14 years in a variety of EH&S positions and as a Manager of Sustainability Programs. Ms. Lynn received her Bachelor of Science degree in Environmental Science from Texas Christian University, and her master's degree in Environmental Management from Duke University in North Carolina.